Quizzes, tips and memory tricks keep participants intrigued while showing them how to clean up inconsistencies, lower journalist defenses and work faster on deadline. This workshop also covers PR questions that aren’t in the stylebook. Find out what you didn’t know you didn’t know; avoid future embarrassment. Communicate with journalists their way; lower their defenses. Money can’t buy happiness, but this workshop buys confidence; earn respect. WriteCulture offers an AP style class that’s specifically for tech PR. Many PR writers think they use AP style but are shocked to find out how much they didn’t know they didn’t know. The workshop acts as a series of filters to help participants discover gaps in their knowledge, narrow their efforts to just those items and, as a result, replace weakness with confidence. 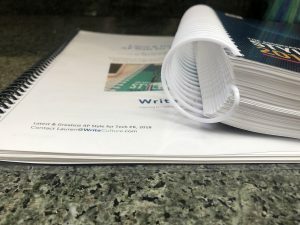 PR: The WriteCulture AP style workbook is specifically for PR, whereas the AP Stylebook is huge and for many industries. 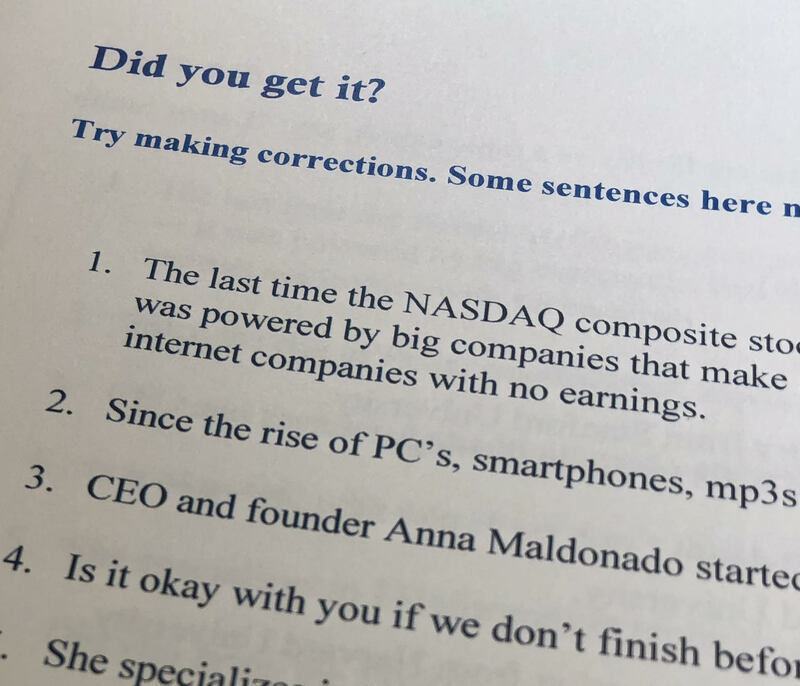 Our workbook includes questions that PR people ask but can’t find in the AP Stylebook (double datelines, source citations, etc.). It leaves out information that’s irrelevant. Our workbook includes filters to find out what you didn’t know you didn’t know. It selects out only information relevant to tech PR teams. Once predicted to go the way of the print newspaper, the AP Stylebook is defying expectation. Amazingly, while newspapers laid off staff or folded between 2004 and 2008, annual sales of AP stylebooks doubled, from 30,000 to 60,000 (Poynter Institute, 2009). s.” on second reference (first reference, Sara Jones; second reference, Ms. Jones). In AP style, second reference is the last name alone (no Ms., just Jones). Always an innovator: The AP remains one of the most-respected standard bearers of old-school journalistic values, but has always been on the cutting edge of journalism technology, beginning with the telegraph in 1846 and continuing to this day with new media and contemporary options including software and apps. Numbers: The Associated Press is a nonprofit cooperative owned by 1,500 news outlets in 280 locations in more than 100 nations. AP staff writers file original news stories for online, print, TV and radio consumption, as well as facilitate sharing across geographies. 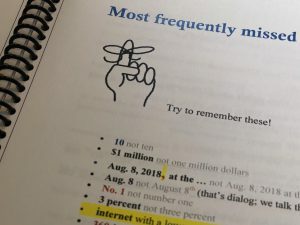 Lauren Edwards, creator of the workshop, was a staff writer for the Associated Press in Fresno, San Francisco and Tokyo, where test-taking on “how to find the hard-to-find stuff” was part of her annual reviews. 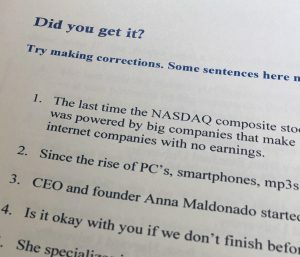 But she learned the majority of what she knows from answering questions from technology PR teams since becoming a writing coach in August 2000. Her first “cheat sheet” for PR was two stapled pages. She remembers worrying the handout might be overwhelming when it became eight stapled pages. Ongoing requests for “practice sheets” eventually became a series of quizzes. Today, her workbook is densely packed with quiz zes arranged by topic and peppered throughout with review questions. Categories of information strewn throughout the AP Stylebook are grouped together in WriteCulture’s workbook, making answers easier to find. New sections have been added to address PR questions that aren’t in the stylebook (double datelines, datelines for trade shows). 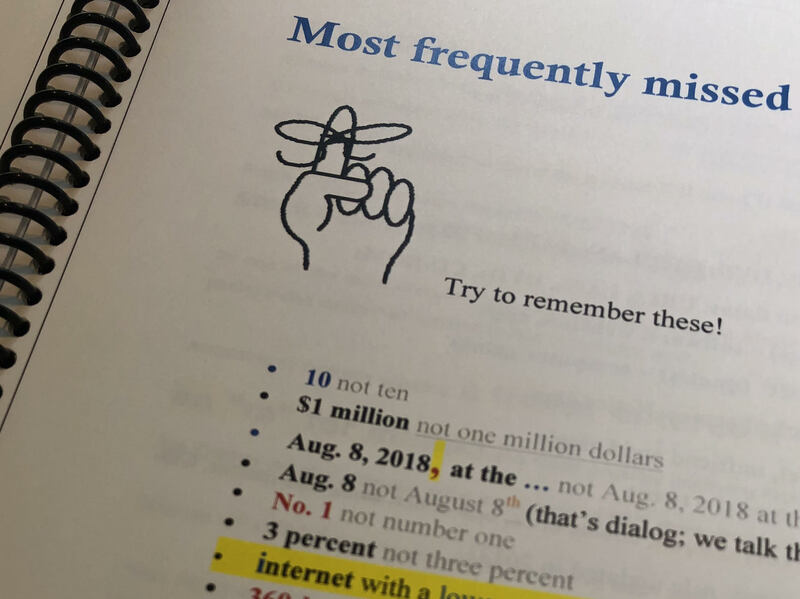 Throughout the workshop, participants are given time to make “notes to self,” which then are transferred to a one-page cheat sheet with table of contents on the last page of the workbook, which has a transparent plastic back for easy retrieval of information each individual most needs. Certification programs are available on request. Get free weekly advice for technology PR. Grateful reporter: ‘Do this more!’ What Andrew Erickson did that worked.